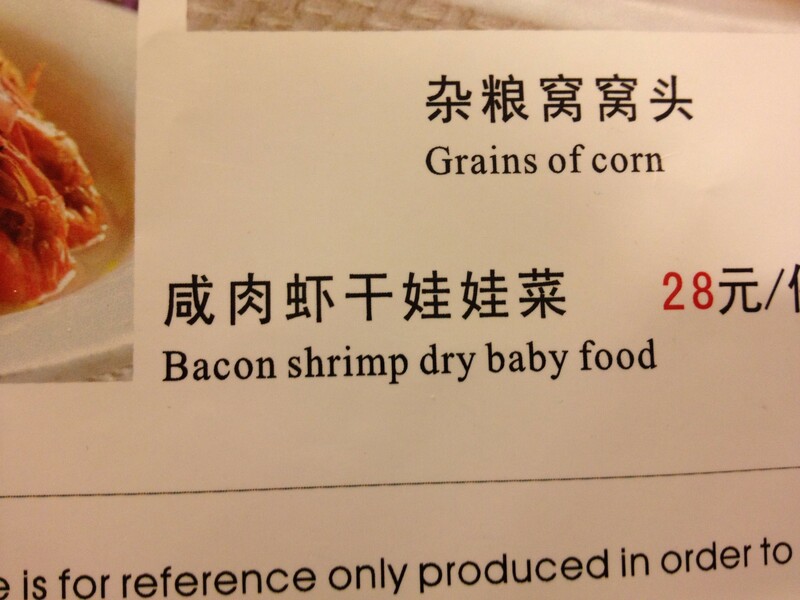 Sometimes things get lost in translation. Most times, these things are quite humorous. Here are a few examples I came across on my last trip to East Asia. 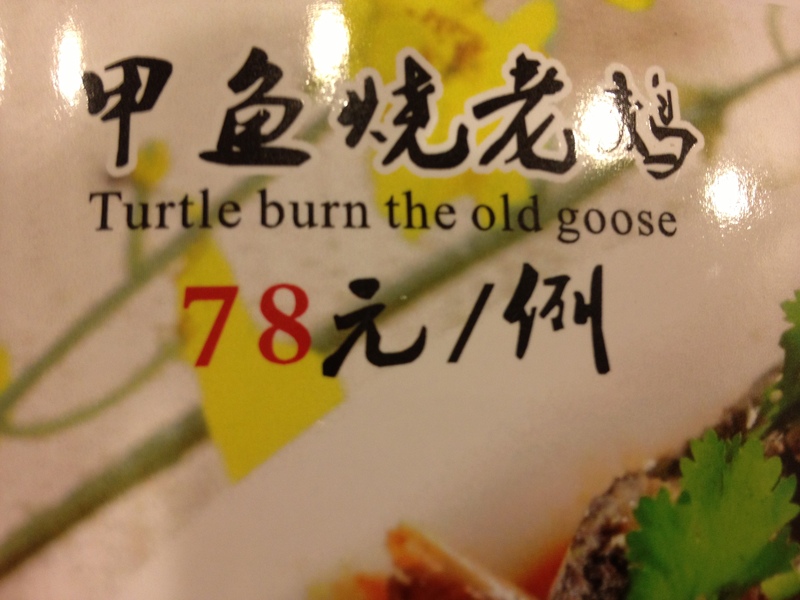 Next time grandma acts out of line, tell that old goose she’d better be careful. 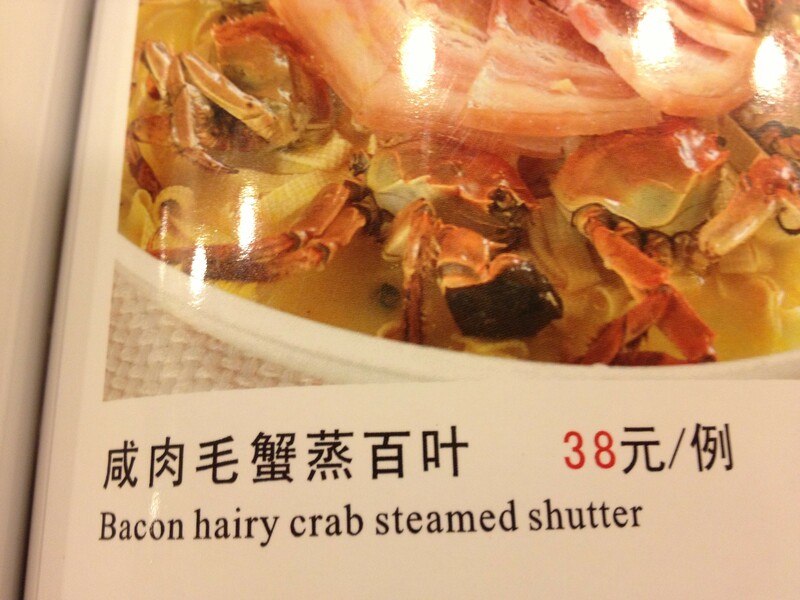 I’m not quite sure what the shutter is, but any food containing the word ‘hairy’ has me worried. Because the purpose of my trip was to play basketball, I sure could have used more of the ‘Feet Feet Jump’. Again, more with the shutter. Regular sounding baby food is disgusting enough. For the record, this was not the kid’s menu. Also, could I interest you in some tasty grains of corn? 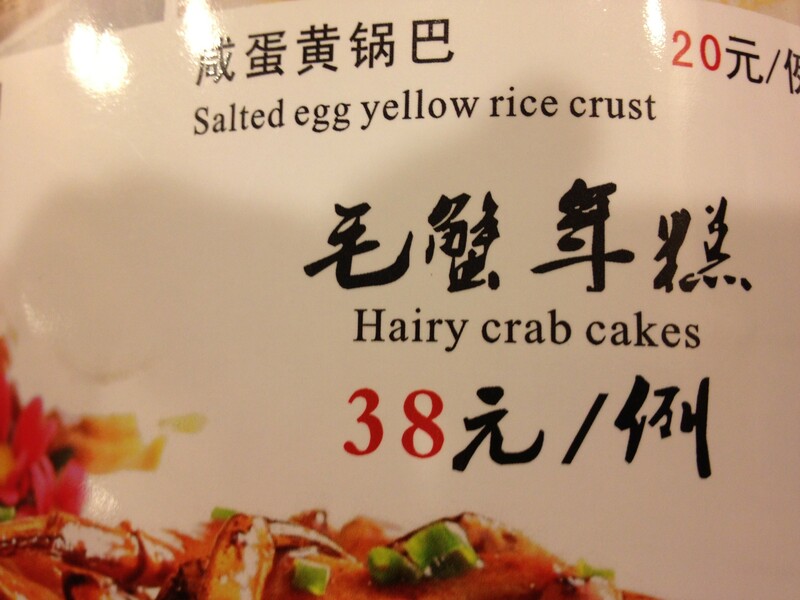 I will not eat hairy crab, I will not eat it in a cab. 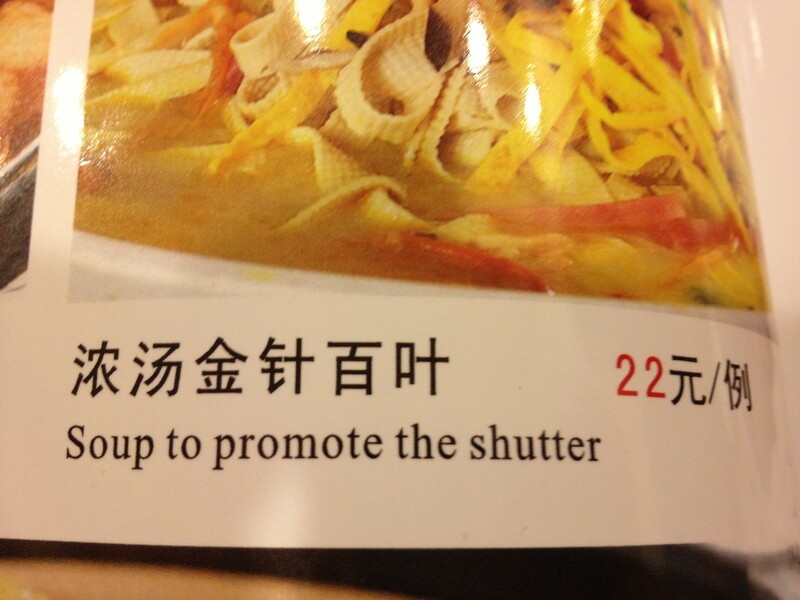 Other times, translation mishaps can be extremely difficult. When God is trying to speak to me and I’m just not getting it, there aren’t any pretty pictures for me to look at to help me gain context. At some point, we have all struggled with what our ‘calling’ is and ‘why we’re here.’ God reveals himself and his will for our lives subtly and in stages. There was a point in my life as I was about to enter my final semester of college when I completely and truly realized that I needed God. I needed him as the pillar of my life. I needed to relinquish control to him and most of all, I needed to step out of the way. That day, July 1st, 2003, I can say was the day that I surrendered my life to Christ. I cried as I prayed that God would forgive me of my pride, my selfishness and the sin in my life. I asked him to change me and give me the freedom of putting him first and pleasing me second. Since that day, God has done great things in my life. Step by step, he put burdened my heart for different things like missions, service, teaching and discipling. Shortly after my wife and I were married, we moved to a new city and joined a fantastic church. It was at that point as we were desiring membership that God burdened me with the desire to be baptized on my own terms. I was “sprinkled” as a baby in the Catholic church, but this time it was on me. I wanted to do it to show God and others that it was MY decision and not a programmatic decision to enter the waters of baptism just as Jesus did. Just as God was laying on my heart the importance of following in the footsteps of Christ and convicting me to baptism, he’s calling each of us to fine tune our lives. For some, it might be a dramatic change, for others it might be confirming what they are already doing. The challenge in all this is how we translate. Communication takes at least two. I’ve talked to the walls before, but I’ve never had them answer. 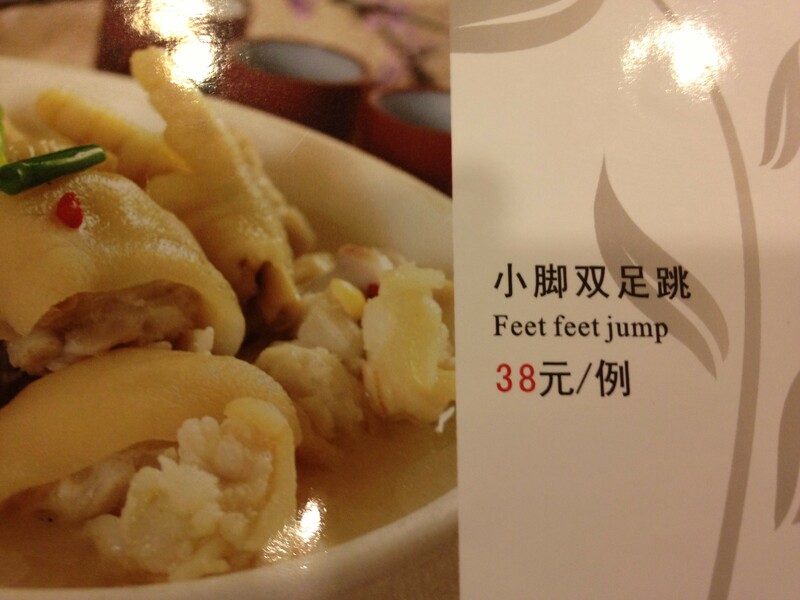 If there wasn’t a waitress to hear me ask for some feet feet jump, I would never get any food. Translations happen in fractions of a second. We hear, smell, taste, touch, see things and moments later we know and understand what just happened. Hearing words and comprehending them in our own language is second nature. But, being in another land and trying to understand if the waitress is asking me for chicken or ‘soup to promote the shutter’ takes practice (which I have not mastered). Translating God’s will also takes practice. It takes prayer. It takes discernment. It takes desire. Do you desire to want to know God’s will for your life? Are you terrified of the consequences of responding to him? Are you staying out of the waters of baptism because you have a fear of water?